To most, social media marketing looks like a passing fad. It is complicated to learn, takes a long time to establish relationships with potential customers and does not have any immediate benefits. Most music professionals resort to other forms of marketing, disregarding this one entirely. However, as a musician, you are missing out on a whole field of potential followers and opportunities. 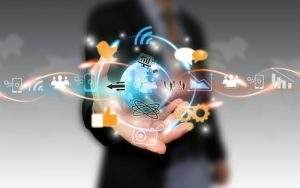 The world is saying that social media marketing is here to stay, and here is why. 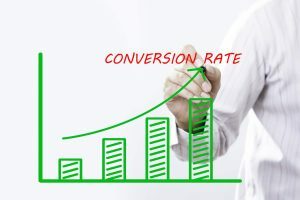 The conversion rate is the ratio of the number of people clicking an ad to the number of individuals actually interacting with the ad by buying a product or calling the number specified to contact the brand. The thing about social media marketing is that it is not static like other forms of advertising, and therefore it reaches other people and relates to them in a way that is human and organic. On social media, one can befriend, empathize with and adapt to several audiences easily and quickly, at the press of a few buttons. Known as the humanizing effect, it is effective and makes more people likely to try a brand out, thereby increasing the conversion rates of the business. 2. More opportunities for conversions. As you build up a presence and followers on social media, they will be alerted of your every post or status update. Posting several witty or attractive posts, or about your upcoming music tours on your profile will cause more and more people to be interested in the brand. Interested customers will slowly but steady increase conversion rates as they decide to give the brand a try. The opportunities for these conversions are endless, considering that there is no limit to posting statuses or blog entries and it is entirely free. Social media are ideal places to post videos and images with any content with no cost incurred, and what better way is there to impress upon potential customers the great quality of your brand? Promotional videos and images are said to influence up to 90% of all potential customers as they decide whether to purchase an item from the business. People are said to watch over 100 million hours of videos on Facebook alone, making it a prime and ideal marketing strategy for you as a musician looking to expand your reach and add a community of followers. Your music videos can increase brand awareness, making it much more attractive to the browsers on social media. Thus, video promotion can drastically improve sales. 4. Catering to customer bases. Going on social media means that the business gets to choose the age bracket they cater to and adapt to suit them according to their needs. A business that caters to the younger generation will flock to Instagram and Snapchat, brands unrestricted by age would go to Twitter, Facebook and other such media, B2B (business to business) marketers would dominate LinkedIn and businesses with writers in mind would go to Quora. You, as a musician, can cater to a large audience base using social media platforms. Thus, it allows businesses to access an audience comprised of almost entirely their customer age bracket and convert them using several tools made especially for them. Studies have shown that marketers have to put in barely 6 hours of effort per week in order to increase search traffic by a major amount. So, one has to put in barely an hour a day to invest in social media marketing. Facebook and Twitter offer paid advertising for business owners, which customize advertisements for individuals based on their interests and likes, which results in a more personalized and effective advertising strategy. However, one needs not worry about costs with this feature, as both websites offer it at extremely low costs. 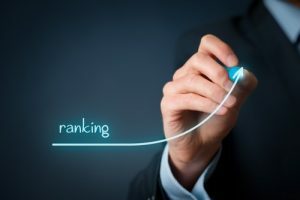 Several websites, including Forbes, have noted that Google and other search engines have developed their SEO bots such that they only allow quality sites on their top ranks in order to ensure good quality results for every kind of search query. Social media valuation is one method Google uses to evaluate the quality of a website. Most big brands are present on social media and are thus given preference when search results refer to their genre. Therefore, by having a prominent social media presence, even a small brand can appear in the top search results on Google and improve their business drastically. The popularity and wide usage of smartphones results in a giant market left untapped just for you. Considering that social media are the main things accessed from smartphones, and 75% of smartphone users accessing social media every single day, social media marketing is the best way to increase brand visibility in this market. Thus, social media marketing offers a world of advantages for you as a musician, with very little to lose. At extremely low to negligible cost, this kind of marketing requires no serious work and has an easy interface which allows your community of followers to have a much richer and more personalized experience.